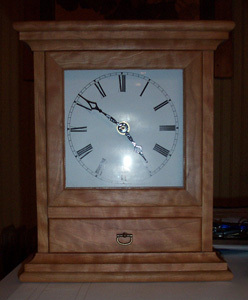 Since starting J.C. Sterling fine furniture I have built many pieces of solid wood furniture. I welcome you to look through my portfolio and see the various natural edge tables and cabinets, view the Pacific line with roots in traditional arts and crafts furniture, or check out the selection of mid century inspired pieces. My shop in Millmont, PA is located in the heart of central Pennsylvania (3 1/2 hours from Philadelphia or Pittsburgh and 1 hour north of Harrisburg) where I have access to some of the east coast's most beautiful hardwoods. This location has inspired my slab furniture line which showcases each individual tree with all of its character intact. Knots, splits, curves, and each slabs singular sculptural beauty are showcased to make a masterpiece celebrating the Japanese principal of Shibui: "unadorned elegance". With the pacific line I updated traditional arts and crafts or mission style pieces and gave them a more contemporary look. My newest line, which pays homage to the mid century modern aesthetic, I have recreated some of the pure style of that era's furniture. My portfolio includes examples of wooden benches, trestle tables, dining tables, coffee tables, chairs and many other unique pieces. In looking through you should get an appreciation for my aesthetic which encompasses the natural edge, arts and crafts, and mid century modern. Each piece is made individually by one man.